Sony Xperia XZ3 first look: Sony’s best effort yet? Sony’s flagship phones have a short lifespan. It’s been just six months since the unveiling of the Xperia XZ2 and Sony has already revealed its successor and the device it hopes will compete with the Samsung Galaxy S9, upcoming Google Pixel 3 and the iPhone 9 (or iPhone 11). Having such a short gap between high-profile releases isn’t great for the consumer, but it does allow Sony to quickly add and alter features. The Xperia XZ2 was a step in the right direction for Sony. It ditched the tired design for something far more modern, improving battery life and the software to boot. Still, the handset lagged behind the competition. With the Xperia XZ3, however, it finally feels as though Sony has a worthy flagship phone in its lineup – it’s taken long enough. The Xperia XZ3 will launch for £699 in October. A release date or price in USA has yet to be confirmed. The biggest upgrade here is the display. This is the first smartphone in a long time from Sony to ditch the LCD for a 6-inch quad-HD+ OLED panel, and the difference is immediately obvious. OLEDs offer far richer colours than LCD, and allow the pixels to turn off completely when not in use, displaying perfect blacks as a result. Sony claims to have done a lot of performance tweaking to really make the most of this panel. It uses the same Bravia technology as the company’s excellent televisions and the X Reality Pro engine helps to upscale lower-res content so that it looks better. Sony reps wouldn’t say which company is responsible for actually making the panel (OLEDs of this size are normally produced by Samsung or LG). However, considering LG provides the displays for Sony’s excellent A1 series of TVs, it wouldn’t be a long-shot to guess they’re being used here too. 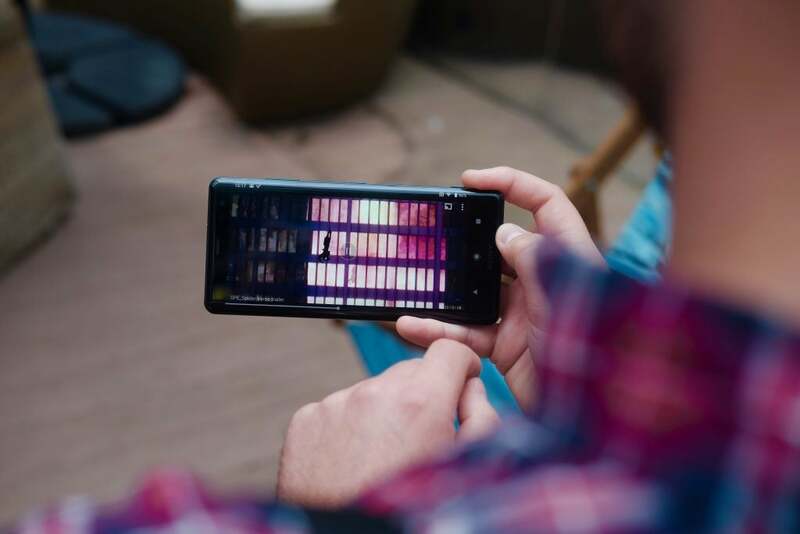 The use of OLED tech doesn’t guarantee you a good screen, however – far from it. The panel used in 2017’s Google Pixel 2 XL had all the right specs but missed the mark when it came to colours. Thankfully, this doesn’t appear to be a problem here. On first glance the XZ3’s screen looks like it could be up there with Samsung’s Galaxy series in terms of quality. I watched a trailer for the Upcoming Spiderman: Into the Spiderverse film, and it popped with colours and dynamic range, while blacks were perfect. It made the iPhone X I was using as comparison look dull. Using an OLED comes with other benefits, too. The thinner display tech allows for a device that’s lighter and slimmer – an area where Sony phones have struggled in the past. The Xperia XZ3 is by no means a small phone – unlikely with a 6-inch display – but it feels great in the hand thanks to a bevy of curves both on the screen and on the rear of the device. It actually feels very similar to holding the Samsung Galaxy S9, and that’s no bad thing. A tough aluminium rim connects the front and back Gorilla Glass 5 panels, while stereo speakers sit in the bezel above and below the screen. OLED is also more power-efficient than LCD, so you should get more endurance from the XZ3’s 3300mAh battery. There’s wireless and fast charging for when you need to top up. One design aspect of which I’m not such a fan is the position of the fingerprint sensor. The circular scanner sits far too low on the rear of the device, meaning you’ll end up hitting the camera module accidentally every time you try to unlock the phone. It’s frustrating. The lack of facial unlocking or other biometric security options on the Xperia XZ3 isn’t helpful in this regard either. The camera itself also remains very much the same as its predecessor. The XZ3 features a single 19-megapixel sensor with an f/2.0 aperture and the ability to shoot 4K HDR video. It remains the only phone on the market that can do this, which sets it apart from the crowd. It seems odd that Sony hasn’t stripped the dual-sensor setup from the XZ2 Premium, but maybe that’s being saved for the inevitable XZ3 Premium model. There have been some updates to the camera UI, which is now a far simpler than before, along with a new 13-megapixel selfie camera that’s chock-a-block with beautifying modes. Internal specs of the Xperia XZ3 match up with just about every other 2018 flagship: Snapdragon 845, 4GB of RAM and 64GB of storage that can be boosted through the use of a microSD card. It’s all stuff we’d expect in a phone that is likely to cost between £600-700. There’s a lot to like about Sony’s latest flagship, but there are a couple of things that could bring it down. 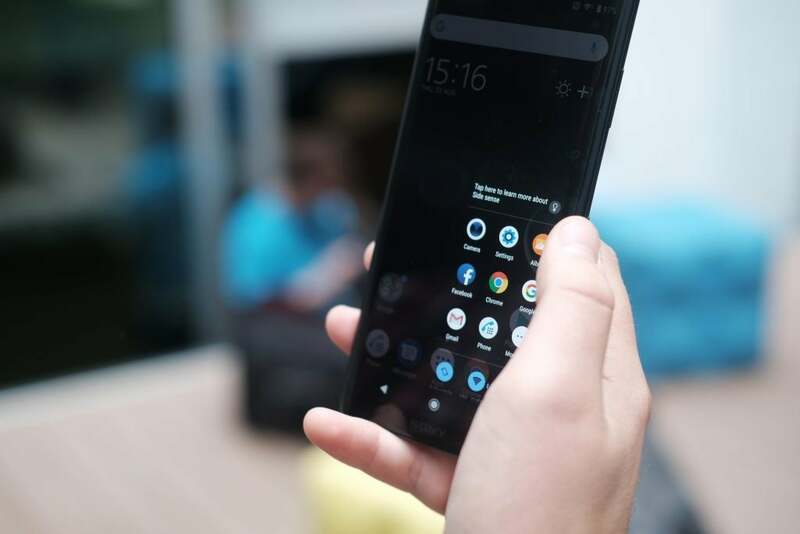 Sony’s software has been a sore point for me for a while now, and even though the XZ3 will ship with Android 9 Pie (albeit without the updated navigation keys and multi-tasking views), it seems Sony’s eagerness to add to Android might be to its detriment. One new feature launches the camera when it senses you’re raising it to eye-level, while another brings up an app launcher when you tap the side of the screen. Both seem needless additions that will need to work a whole lot better in the final software than they did during my hands-on. The Xperia XZ2 missed the mark in a few ways, so it’s probably a good thing Sony has acted quickly with a successor. 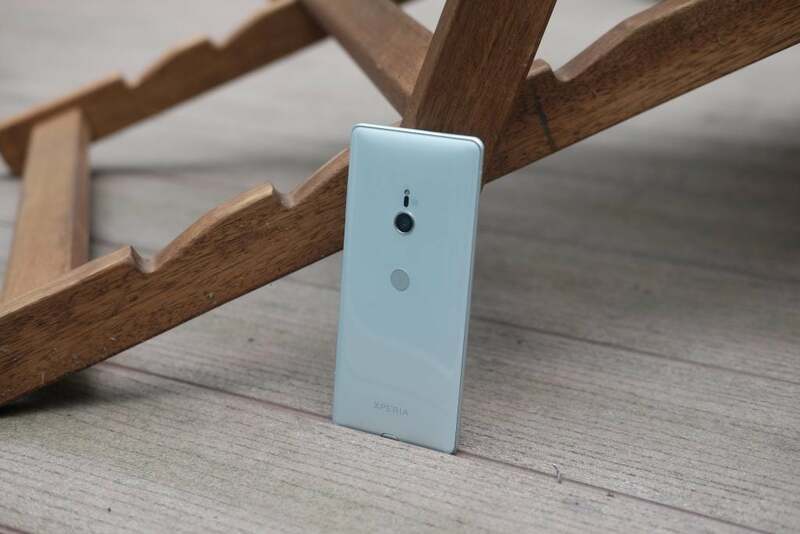 The Xperia XZ3 is a better-looking phone, with a much-improved display; a device that will hopefully see advancements in other areas too. Whether it will end up being the flagship phone to buy in 2018 remains to be seen. The post Sony Xperia XZ3 first look: Sony’s best effort yet? appeared first on Trusted Reviews.